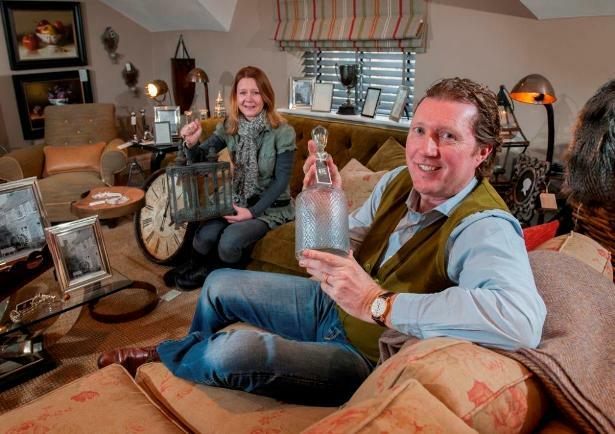 Harrogate-based interior design and furnishings business Richard Grafton Interiors has made a £50,000 investment in completely redesigned and refurbished room sets at its three-storey showrooms just a year after launching. The retail and commercial interior design business which opened its doors in March 2012, has completely remodelled its 3,000 sq ft retail and showroom premises on The Ginnel in Harrogate’s Montpellier Quarter. Featuring entire rooms to showcasing its design and installation capability and products, the showrooms have been updated with brand new living rooms, a dining room, bathrooms and a show apartment to reflect the latest trends in interior design. Launched with a £1m investment from owner Richard Grafton, the business has already grown from five to nine staff over the last year. It provides a complete high quality interior design service and also offers design-led interiors products, from fabrics, flooring and wall coverings to bespoke kitchens and bathrooms, furniture and objects d’art. The showroom refurbishment is just the first development in what promises to be another exciting year for the business. We’ve had an extremely successful first year, and our concept of differentiating ourselves by offering a one-stop-shop for all interior design solutions has been well-received. Like fashion, interior design is constantly changing and this ‘re-invention’ of our showrooms is part of our on going commitment to constantly looking ahead to ensure that clients are offered the very latest trends. We’re fortunate to have been able to bring together one of the largest dedicated design teams in the region, with more than 100 years of combined design experience between us. Together we have attracted new business from private individuals and from businesses including design and furnishing projects for homes, offices and hotels.